Dust, in simple terms, refers to the accumulation of tiny outputs (or accounts) on the blockchain, perhaps with only a fraction of a cent worth of coin, that are either dumped onto the blockchain maliciously or are simply too low-value to be even worth the increased transaction fee to send. On Ethereum, dust of the second kind can also consist of accounts that have zero balance left, perhaps because the user might want to switch to a different private key for security reasons. Dust is a serious problem; it is estimated that the majority of the Bitcoin blockchain is dust, and in the case of Litecoin something like 90% of the outputs are the result of a single malicious blockchain spam attack that took place back to 2011. In Ethereum, there is a storage fee onSSTORE in order to charge for adding something to the state, and the floating block limit system ensures that even a malicious miner has no significant advantage in this regard, but there is no concept of a fee charged over time; hence, there is no protection or incentive against a Litecoin-style attack affecting the Ethereum blockchain as well. But what if there was one? What if the blockchain could charge rent? One elegant data structure in computer science is something called a treap. A treap, as one might or probably might not understand from the name, is a structure which is simultaneously a tree and a heap. 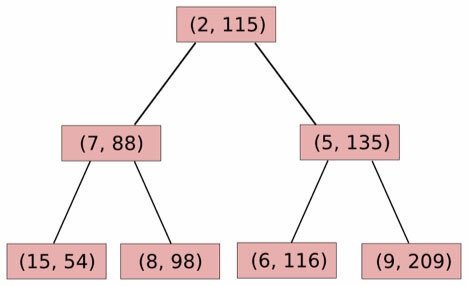 To review the relevant data structure theory, a heap) is a binary tree, where each node except for leaves has one or two children, where each node has a lower value than its children and the lowest-value node is at the top, and what data structure theorists normally call a tree is a binary tree where values are arranged in sorted order left to right (ie. a node is always greater than its left child and less than its right child, if present). A treap combines the two by having nodes with both a key and a priority; the keys are arranged horizontally and the priorities vertically. 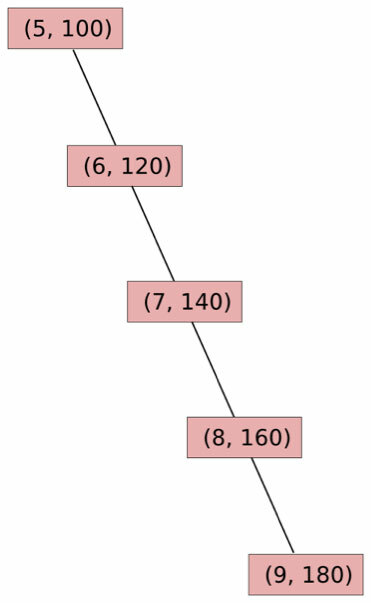 Although there can be many heaps for each set of priorities, and many binary trees for each set of values, as it turns out it can be proven that there is always exactly one treap that matches every set of (priority, value)pairs.